When your furnace is blowing cold air, it’s best to diagnose the problem and repair it as soon as you can. Not only does it leave your household cold and uncomfortable, it can be kind of confusing trying to figure out what exactly is causing the problem. However, if your take advantage of the information below, getting your furnace to quit blowing cold air will be a much easier job. 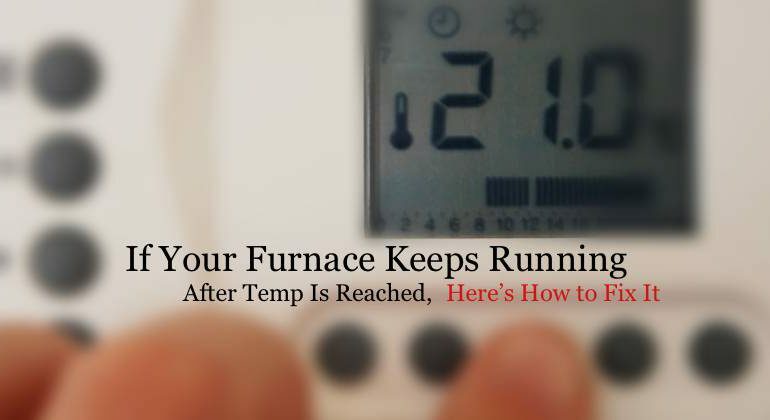 The first thing you want to check if your furnace is blowing cold air is the thermostat. Many of the thermostats that are sold on the market today are programmable and have a wide selection of settings. Make sure your thermostat isn’t accidentally set to air conditioning or another preprogrammed feature. If after you check your thermostat, you see everything is set correctly, you may need to call a professional to replace or recalibrate it. It’s also important to note that some thermostats require batteries. If your thermostat is like this, check the batteries to make sure they’re not dead. When your gas furnace is blowing out cold air, there are several possibilities as to why your unit might be doing this. First, head to your breaker box and make sure that one of your circuit breakers wasn’t tripped. When your gas furnace fails to start, the burner will not be ignited and warm air will not bee produced. Another thing you should check if your gas furnace is blowing cold air is if pilot light is actually lit. This usually only applies to older models. If your pilot light is not lighting, the problem might be with the burner. In that case, you might want to call a professional to have them look at it. The last thing you should check is to make sure that the gas supply line valve is in fact open. Sometimes this valve can get accidentally get turned off during other home improvement projects. If the valve is not open, open it and relight the pilot light. Just like the gas furnace, check and make sure that your electric gas furnace is getting power and that the circuit breaker didn’t somehow get tripped. If your breaker continues to trip over and over, you’ll probably have to replace the circuit. In addition to this, a short circuit can also cause your heating elements to burn out. Most heat pumps use auxiliary heat strips, and when these strips become broken or faulty, your heat pump will start to blow out really cold air. If you think that your heat strips may need to be tested or replaced, call a professional unless you have experience doing this. If you own an oil furnace, and it’s blowing out cold air, it’s likely that the reason is due to a lack of fuel. Start by checking to see how much fuel you actually have in your tank. Several of the tanks sold on the market these days have an automatic shutoff option that will turn your furnace off when the tank becomes low. This helps protect your system, because running your furnace until your oil tank is completely dry can cause damage to the unit itself. It’s recommended that you change the filter in your furnace at least once every 2 to 3 months. Overtime, dirt, grime and other filth can clog up your system’s filter. As result, airflow is minimized, your furnace will likely overheat and then shutdown resulting in cold air begins blow out and into your home. In addition to this, in order to keep your system running smoothly while also extending the life of it, you should change the filter in your oil furnace on average of about 2 to 3 months. It’s also good to clean out the inside of your system with a vacuum cleaner as well. When outlets, reservoirs and condensate pumps become blocked with small particles, dirt and other filth, you can have a serious problem. In fact, the fan will continue to blow even though the built-in switch won’t allow the burners to light. When you do have a blockage, your system will need to be cleaned. You can do this yourself, but it’s really best to call a professional. By calling a professional, you can prevent yourself from doing any accidental damage to your system. There are a few problems that can prevent the fuel from getting to the burners. These can include a broken electronic ignition, a damaged main gas valve and even a thermocouple that’s completely burned out. Unless you have a lot of experience working with gas valves and ignition systems, it’s best to call a professional and have them complete the necessary repairs. Thermocouples on the other hand are quite inexpensive and fairly easy to replace. If the ducts in your home happen to be damaged or unsealed, they could be leaking the warm air before it gets a chance to warm up your house. Over the years, your ducts can acquire holes, cracks and other abrasions in them. In addition to this, the duct tape and the majestic used on the ducts can become broken and or start peeling as time goes by. If you see that your ducts are damaged, don’t just let your furnace continue blowing out cold air, reseal the duct tape or call a professional to repair your leaky ducts.